Aquatic Journeys and Experiences with a positive impact in the world. We are an international community focused on the water and the aquatic movement. We create innovative Journeys, deep Experiences and inspiring Films that combine ecotravel, adventure, well-being, art and culture with many aquatic practices in connection with the nature – created for individuals and companies. We want to set a good example when it comes to environmental practices and inspire international action and collaboration to preserve the oceans. Discover Journeys, Experiences and Films in exclusive destinations, with transformative aquatic practices. 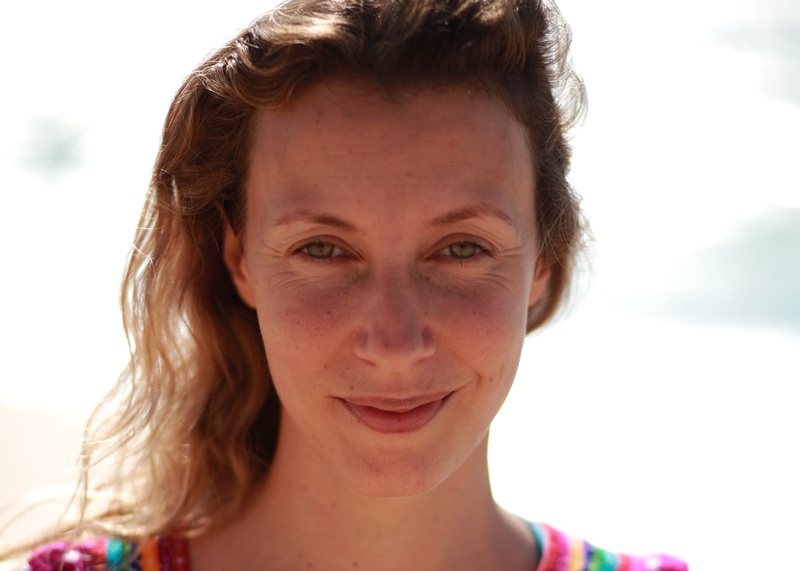 Do you want to explore the creativity and authentic movement of the body on land and in water? Do you want to live a local and non-touristic experience? Do you have any fear of the water that you would like to overcome? We have lots of experiences for you. Do you have a company and want to develop motivation amongst your employees? Do you want an innovative proposal for Team-Building? Do you need tools to create a better environment in your company? Let’s talk! A different way of traveling. 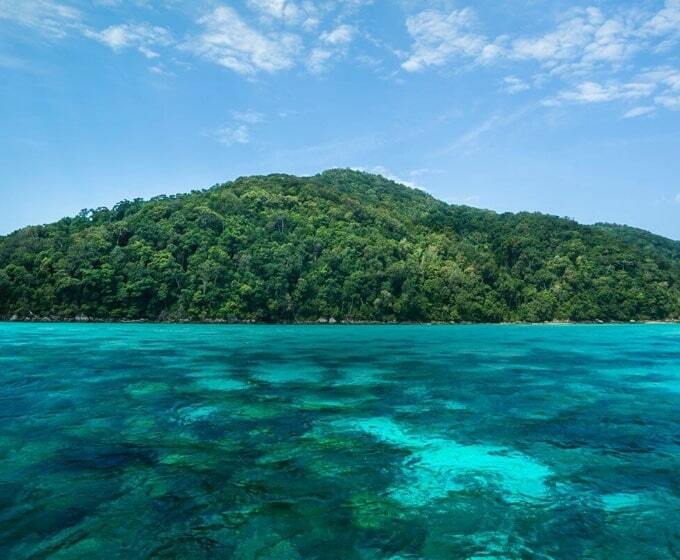 Travel to the “green island” and support oceans’ conservation. Discover a volcanic island in the middle of the Atlantic.A journey for all your senses, that will allow you to explore nature through breathtaking landscapes. Dance in warm waters, experience freediving, snorkeling and learn how to communicate and swim with dolphins. Dive into beautiful Thailand and dance in crystal clear waters with bioluminescent plankton. Enjoy a unique and inspiring program. Let yourself drive along the coast of Andaman sea. Discover two magnificent islands and connect with marine species. 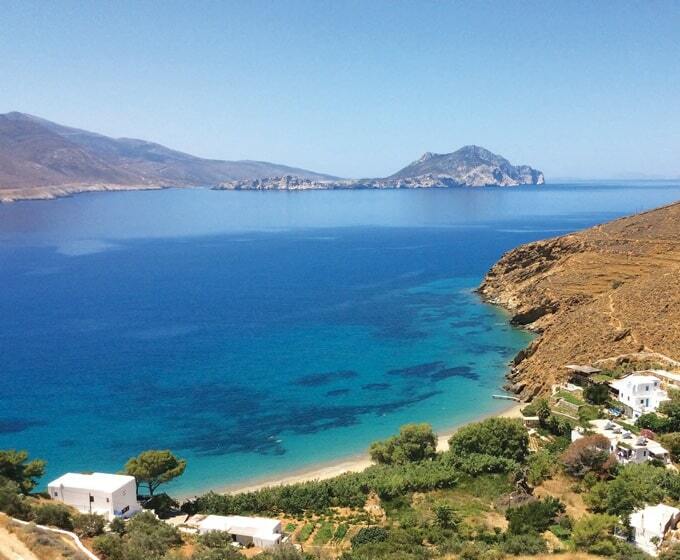 Discover a beautiful and unknown island surrounded by the picturesque charm of the Aegean Sea. A unique and unforgettable journey into the essence and secrets of the Amorgos Island, through unknown trails and stunning underwater stages. 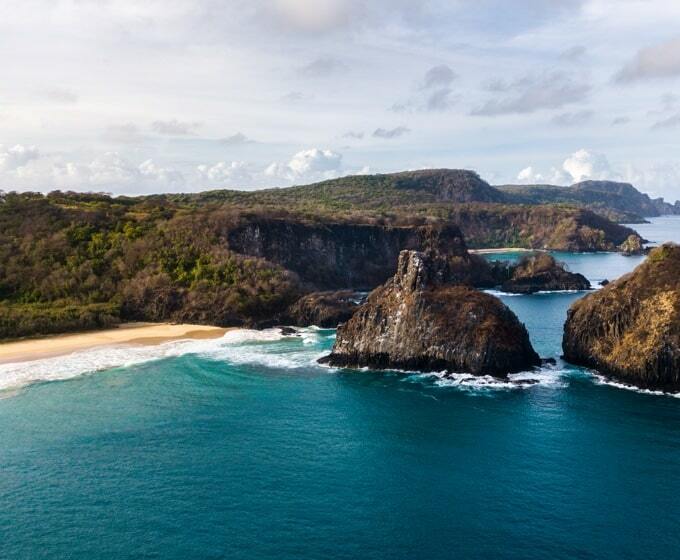 Embark in unforgettable journey at the ecological paradise of Fernando de Noronha, a special 7-day program. Walks and nature contemplation, bodysurfing, dance in the ocean, free diving and underwater photoshoots will be some of the moments of the Atobá edition. 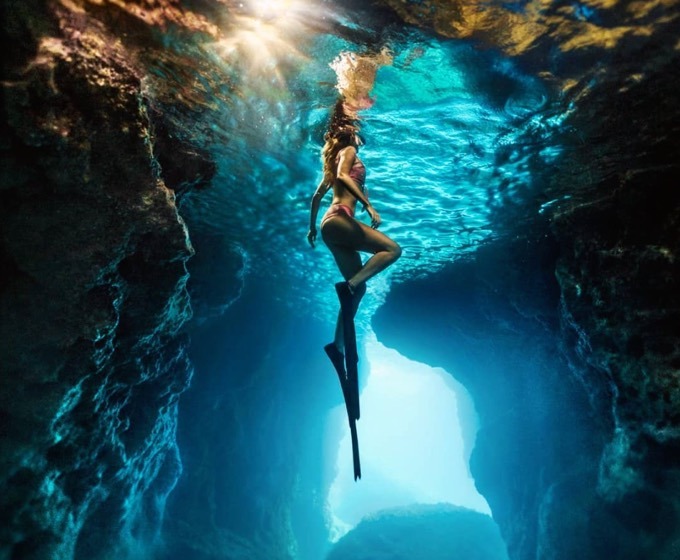 Live an aquatic experience in Sintra and Arrábida, in Portugal, through a unique set of practices that combine meditation, conscious breathing, dance and movement in the water, nature contemplation, snorkeling and free diving. Try a 1h-1h30 session in a heated pool, a safe and inspiring environment where we can connect with the ancestral wisdom of water. An energizing experience that reconnects us with our essence and takes us to deep states of relaxation. 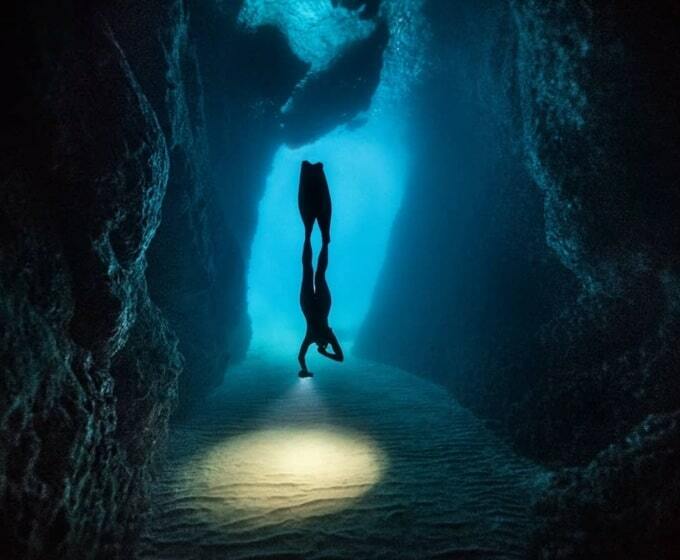 Discover the underwater beauty through aquatic trails, snorkeling or free diving. You will learn techniques that will help you move like a marine being. An invitation to feel the elements of nature and its marine life. Become ONE with the ocean. Be a part of a photoshoot surrounded by nature, deepen and reveal your essence. Capture unique moments, inside and outside the water. We offer high quality photoshoots, an unforgettable experience with talented photographers. Bringing aquatic wisdom to more people to empower dreams and care for the oceans. We want to share the benefits of water to cultivate self-knowledge and well-being and inspire the community to take action on the preservation of the oceans. We believe that the power of Nature and our presence in inspiring places can change our lives. And that the practices of bodily and emotional reconnection and contact with water help to align purposes, expand our vision and gain new skills, while meeting authentic localities and people. What is ‘Oceans and Flow’? Oceans and Flow is an international movement focused on developing aquatic practices and raising awareness about the preservation of the water and the oceans. It was founded and developed by Violeta Lapa. We are a group of talented and creative people that share aquatic art and knowledge. We are also a community of people who are passionate about water and the oceans, about traveling, nature and adventure. We create unique and inspiring experiences, carefully planned to maximize the well-being and a more sustainable lifestyle that matches the human nature and essence. We try to stay connected with the individual and global needs and to be change makers for a more conscientious planet. I discovered in Oceans and Flow a new way of traveling. I realized that in addition to visiting amazing and unexpected places, having adventures and fun, I could travel with the certainty that I would nurture myself from carefully selected experiences linked to water, nature and dance, always eating healthy, learning new things, making friends with people from all over the world with the same interests – and best of all – out of tourist tours. Highly recommend! I made this trip at the request of my heart and so I discovered a more intense and genuine way of dancing with life! I surrendered myself to the new and was surprised by images, sounds, flavors and sensations that awoke me! Throughout these days I was embraced by mother nature and I received her energy so warm and soothing! I feel blessed to have lived such colorful and unforgettable days hand in hand with a beautiful family! Lovely crew which takes you to extraordinary places to dance, dive and grow.